With over 800 million monthly active users, Instagram is one of the largest and most popular social media platforms in the world. Founded in 2010, Instagram is a Facebook-owned mobile app where users share pictures and videos. While it has largely been ignored by small businesses, Instagram’s continued rise in popularity means that it can no longer be ignored. Not convinced about adding Instagram to your marketing strategy? Here are 6 reasons why Instagram is an important addition to any small business marketing strategy. One of Instagram’s biggest strengths is it’s incredible reach. It’s 800 million active monthly users and 500 million daily active users makes it the third largest social media platform; behind only Facebook and Youtube. While Instagram’s user base is still largely young people, that is changing. In fact, 18% of people aged 50-64 are now active on Instagram. As time goes on, this number will only continue to increase. No matter what you sell, with a user base rapidly reaching 1 billion people, chances are your consumers are already on Instagram. With engagement rates 10 times higher than Facebook and over 80 times higher than Twitter, Instagram has one of the most engaged audiences of any social media platform. It has accomplished this by focusing on visuals first. Instagram marketing is all about visuals. While you don’t need to be a professional photographer, your primary focus should always be on posting engaging, interesting photos. Simply put, the better looking and more interesting your photos, the more engagement they will get. This engagement is good for more than just vanity. With so much content posted on their platform every day, Instagram has moved to a ranking algorithm similar to Facebook’s. This means that the more engaged users are with your posts, the more users will actually see the post. This move was made by Instagram to filter out low quality and spammy posts so that they only show their users the most relevant posts possible. Now the more engagement a post has, the more people Instagram will show that post to. Another benefit of all that engagement is the insights that can be gained from consumer feedback. Marketing on Instagram allows you to speak directly with your customers (and potential customers). This dialogue gives you instant feedback from your followers and can often lead to new and interesting ideas that you wouldn’t have thought of on your own. All too often, small business marketing efforts are focused exclusively on selling. While this is great for generating sales in the short term, it doesn’t usually do a lot for promoting ongoing customer loyalty. One of the reasons for this is that most advertisements focus on the products rather than the people selling the products. People like doing business with people (and brands) that they like. 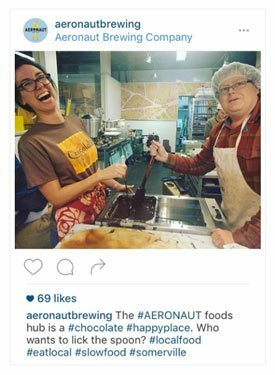 A big piece of your Instagram marketing strategy should therefore be showing off the great people that work at you business. Take them behind the scenes and show them parts of your business that they would not normally see. Instagram is a great place to show your customers a different side of your business. Along with showing off your staff and their personalities, you should also focus on developing a strong “brand personality”. A “brand personality” is a set of human characteristics (smart, funny, serious, dependable etc) that can be attributed to a brand. Show off your brand personality in the images that you post and the tone of your captions and comments. In many ways, video is the future of internet marketing. In fact, by 2019 it is excepted that 80% of all internet traffic will be video traffic! As video has become more and more popular on social media, Instagram has fully embraced it. 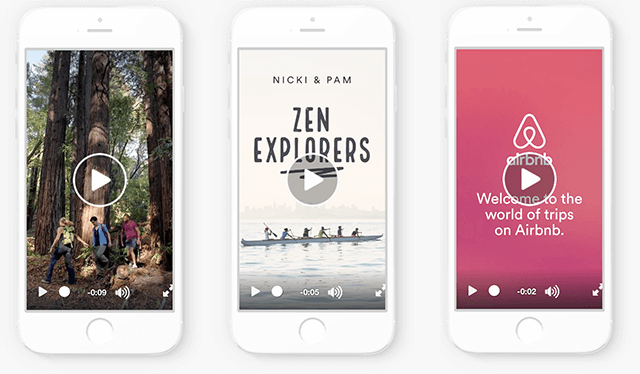 Originally limiting videos to 15 seconds when they were introduced in the summer of 2013, Instagram now allows users to publish videos that are up to 60 seconds long. The rise of Snapchat also led Instagram to recently introduce a new video feature, Instagram Stories. Like Snapchat videos, Stories are short videos or images that are automatically deleted after 24 hours. Stories are a great way to show off your brand personality in a fun and engaging way. The unique Stories Polls feature is also a great way to get some instant feedback from your followers. Instagram Stories Ads have been used to great effect by companies like Airbnb. Carousel Ads. Multi-image ads that users can manually scroll through. Carousel ads are great for storytelling and for showing off different unique selling features of a product or service. Slideshow Ads. Similar to carousel ads, except that the images scroll automatically and can be set to music. Instagram Stories Ads. Full screen video and photo ads that show up in the Stories area of Instagram users. These ads are a great way to introduce new people to your business in a unique and engaging way. 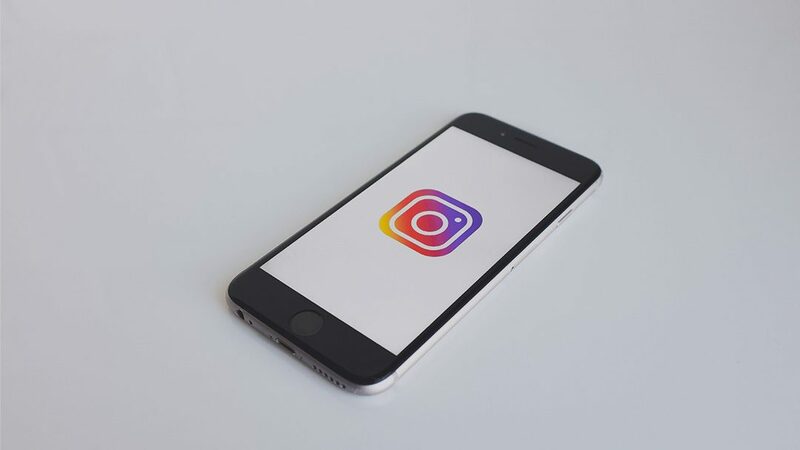 While many small businesses owners continue to write off Instagram as not being worth their time, the truth is that Instagram can be a powerful marketing tool for any small business. Their focus on visuals and video have built one of the largest and most engaged audiences of any social media platform; making Instagram a must for any social media marketing strategy. Are you already using Instagram to market your business? Check out our 7 essential Instagram marketing tips. Not sure which digital marketing channels you should be using? Check out our free quiz; “What Digital Marketing Channels Should You Use?”. Tired of guessing how to market your business online? Let us design a customized marketing strategy that will work for your business goals, will speak to your target market, and will fit within your budget.